During pregnancy, coming down with the flu is riskier than usual. During the 2009 outbreak of H1N1 influenza , for example, pregnant women made up 5 percent of all U.S. deaths due to the virus, despite constituting only about 1 percent of the population at the time. The risk is greater as pregnancy continues, according to a 2010 paper in the journal JAMA, which found that, of the 56 deaths among pregnant women in the epidemic, 36 of those deaths (64.3 percent) happened in the third trimester. Sixteen, or just over a quarter, of the deaths happened in the second trimester and only four (7 percent) occurred in the first trimester . Fortunately, there are ways pregnant women can protect themselves from the flu , experts say. "The flu vaccine is the No. 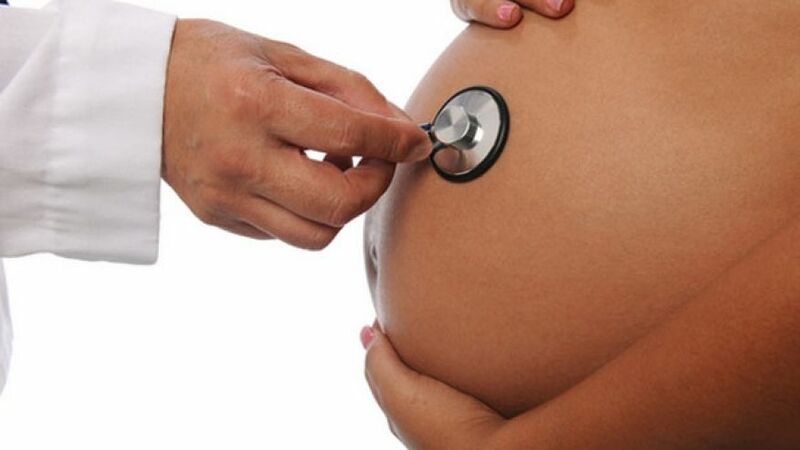 1 priority for any pregnant woman," said Dr. Regan Theiler, the division director of general OB-GYN at Dartmouth-Hitchcock Medical Center in New Hampshire. "It's very effective, and not only does it protect mom, but the antibodies transfer across the placenta and protect the baby for the first six months of life." The reasons why the flu is particularly risky for pregnant women aren't entirely understood. Researchers know that a woman's immune system changes in complex ways during pregnancy in order to allow the body to tolerate the fetus, which, after all, is genetically half-alien. Some of these changes have to do with the placenta , which produces certain molecules to wall off the developing fetus from the mother's immune system. Other body-wide effects are more complex. For example, a 2014 review in the journal Reproductive Sciences reported that pregnant women have lower numbers of a type of immune cell called dendritic cells circulating in their blood. Dendritic cells capture fragments of invading germs and then present these fragments to other immune cells, which use the information to launch immune responses. Despite this decrease in dendritic cells, some of the fragment-capturing receptors on their surface actually increase, potentially boosting a woman's immune response . In other words, while there are fewer dendritic cells, the ones that are present can capture more germ fragments. In addition, some pro-inflammatory chemicals that promote inflammation, including molecules called cytokines, also increase. Overall, these factors may promote an increased immune response during pregnancy — and that's not necessarily a great thing. A small 2014 study in the journal PNAS found that pregnant women's immune systems have a stronger natural killer cell and T-cell responses to the flu than nonpregnant women's immune systems do. These two types of immune cells, when supercharged, may actually create extra damage in the pregnant woman's respiratory tract, increasing her risk of developing other problems from the flu, the researchers suggested. A major reason pregnant women who get the flu are at high risk may simply be that their heart and lungs are already taxed, Theiler said. Pregnant women "are sort of using all their ability to take in oxygen and move their blood around," she told Live Science. When the flu virus attacks the cells of the respiratory system , the additional burden may be too much to bear, Theiler said. Death from flu often comes because the virus opens up the opportunity for bacteria to move in, she said, which can lead to pneumonia that, in turn, leads to sepsis , or body-wide inflammation. In contrast with the Zika virus , which causes mild illness in the mother but can have devastating effects on the developing fetus, the influenza viruses rarely cross the placenta to infect the fetus directly, Theiler said. Nevertheless, flu has long been linked to increased risks of stillbirth, miscarriage and preterm delivery. A 1961 study in the American Journal of Public Health on 611 pregnant women found that those with a flu infection were more likely to have had a miscarriage, a stillbirth or a preterm delivery than those with no infection (though the number of women uninfected was too low to draw firm statistical conclusions). More recently, a study of a 1989 outbreak of influenza among pregnant women at one medical center in London suggested a link between infection and fetal and newborn mortality. And a 2013 study in The New England Journal of Medicine found that women in Norway who got the flu during pregnancy had nearly twice the risk of losing the baby before birth as women who didn't catch the flu. "A healthy mom is a healthy baby," Theiler said. Getting the flu vaccine is the best step a pregnant woman can take to protect herself and her baby, Theiler said. In 2014, researchers at Dalhousie University in Nova Scotia found, after controlling for other factors, that getting the flu vaccine during pregnancy reduced the risk of preterm birth or giving birth to a low-birth-weight infant. The same New England Journal of Medicine study that found an increased risk of fetal death with flu infection during pregnancy also found that the flu vaccine was very effective, reducing the risk of flu during pregnancy by 70 percent. Evidence also suggests that the flu vaccine is very safe during pregnancy. A study published Nov. 29 in the journal JAMA Pediatrics looked at a large registry of patients with Kaiser Permanente Northern California and found no evidence that the flu vaccine (or the flu) increased the risk of autism in children. Nor have researchers found evidence of a heightened risk of adverse effects from the vaccine in pregnant women. A 2011 study in the American Journal of Obstetrics & Gynecology , for example, examined reports submitted to the Vaccines Adverse Event Reporting System, a federal system used to collect information about negative reactions to vaccines. Reports in the database do not have to be confirmed by doctors to be included. The study found no evidence of unusual patterns of adverse events during pregnancy or in infants, the researchers wrote. Direct comparisons turn up similar results. A 2013 study in the journal Obstetrics & Gynecology compared nearly 76,000 women who received the flu vaccine during pregnancy with almost 150,000 women who didn't and found no increase in adverse effects among the vaccinated women. Another study in the same journal that year used similar data and found no additional risk from vaccination for common pregnancy complications such as high blood pressure, morning sickness or pulmonary embolism. Handwashing is the most effective hygiene measure to prevent the flu, Theiler said. Still, if a pregnant women is in close contact with an infected individual — say, an older child — she should call her doctor right away, rather than just relying on handwashing, Theiler added. If the seasonal flu strain isn't well-covered by that year's vaccine, many physicians might want to preemptively treat the woman with anti-viral drugs to ensure she doesn't get sick, because the consequences of infection can be dire, Theiler said. Any pregnant woman who experiences flu symptoms should call her doctor right away, Theiler said. "They shouldn't wait it out at home or tough it out like they might do if they weren't pregnant," Theiler said. Again, anti-viral drugs would be the treatment of choice. The bottom line, Theiler said, is that the flu is a "very bad thing for maternal mortality that's easy for us to prevent." In 2009, she said, the H1N1 epidemic increased the rate of deaths among pregnant women. That rate is typically very stable, Theiler said. The rate of deaths "noticeably" increased just because of the flu, she said, "so that's a scary thing for us."